Modern World is the second album from 26-year-old Iowa native MAX JURY, set for release on 31st May. This serves as the follow up to Max’s critically acclaimed, 2016 self-titled debut. 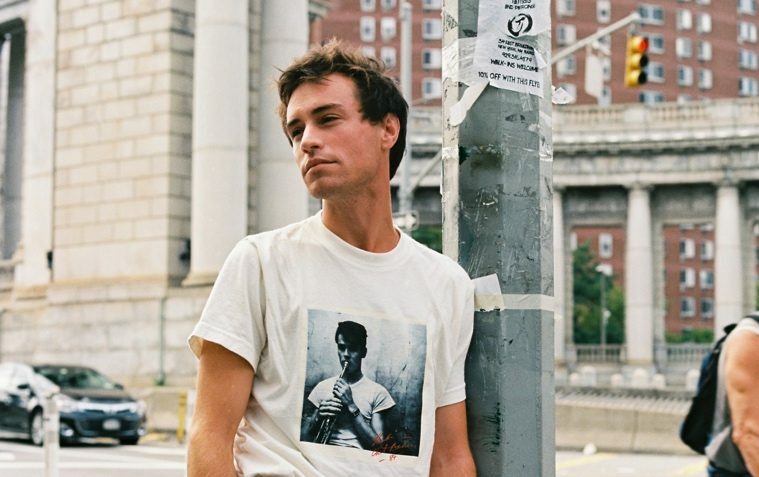 Max Jury collaborated with four-time Grammy nominated producer Robin Hannibal (Kendrick Lamar, Anderson .Paak) on Sweet Lie – the first track to be revealed from Modern World. The pair’s first session together prompted Max to suggest Robin produced the whole album. AC: What was it like growing up in Iowa? MAX JURY: It was okay! An archetypal suburban America upbringing in many ways. Football game on Friday night – church on Sunday vibes. But then again I was quite lucky. My parents are cool and stay relatively woke. They’ve always supported my desire to make music and art. And some of my best friends to this day I met in Des Moines. It wasn’t perfect, but I wouldn’t want to do it over. Can you tell us about some of the themes of the upcoming album? For me, it’s an album about processing life in 2018. Oof, 2019 now! Relationships, friendships, work life – and also some of the more challenging things that I’ve experienced in my adult life – like addiction, isolation, and depression. I think it’s a relatable record in that sense. A lot of young people – millennials – are struggling with these issues and this album is here to say: It’s okay! We all are in a way. You can get through it. I heard that you wrote one-hundred songs during the recording process of the album. How do you store them? Oh, they are all in Dropbox folder somewhere. For real, there were maybe twenty good ones total. The rest I would be embarrassed if you heard. But writing for me has always been a numbers game. I’m not a genius. I’m a hard worker. If I have to write ten songs to get one good song, so be it! Do they all reflect themes similar to those that are present on the finished album? Not really, actually. For the album, I made sure to pick not only ten of the stronger tracks – in a composition sense – but also the ten that worked well together and pushed my message and feelings across. What inspired the title Modern World? It was two-fold. Firstly, it’s not an album about my past, really. It’s an album about my present. It’s an album about working though what I think are uniquely contemporary issues. And secondly, the production value is much more current. My first record was at times quite vintage sounding – not this album for better or worse! On the album, is there a track which you’re particularly proud of? Or one that you feel represents the entire work as a whole? There is a track called Gone which I think is the most interesting, beautiful piece of music I’ve made so far. What did your producer Robin Hannibal bring to the project? So much! It was such a pleasure to work with him. He really pushed me to grow as an artist and as a vocalist. I had a sound and a feeling in my head that I couldn’t bring to life by myself. He understood that and made it all possible.